This is a very quick post, which I may expand in the future. I’ve tweeted a couple of times about my new project – In the Wishing Chair. 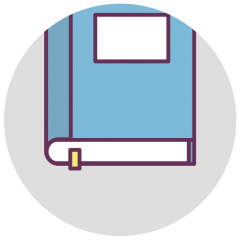 It’s a podcast dedicated to writing for children – I say writing, I also mean illustrating, publishing and of course reading the books. It came about mostly because I enjoy podcasts and there are some really great ones for writers, but I couldn’t find any about writing for children. So, in the best spirit of “If you want a thing done do it yourself” I decided to make one. I really didn’t want to make anyone listen to me witter on, so I tentatively approached some people about being interviewed via Skype and the result is what I intend will be a roughly fortnightly show comprising an interview with someone connected with writing for children with links about them on the tumblr blog that accompanies the podcast. There’ll be the odd one that IS just me wittering on, like the short introductory one I sent live this evening, but it’s mostly interview-based. I love the range of kind souls that have joined in so far – there should be loads of collective wisdom when the episodes start building up from all aspects of the trade. And I’m very lucky in some of the interviews I’ve got; I’ll say no more until I’ve recorded them in case they get cold feet! Most important of all, this is a massive leap into the unknown for me. I don’t really have much confidence in myself at all and until now have had a deep dread of ‘putting myself out there’. This is kind of me saying to myself ‘knickers to that, I’ve got something to contribute and I’m going to beat myself and do it’. Feel the fear and do it anyway kind of malarkey. 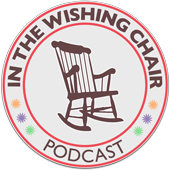 The first episode is now LIVE at In The Wishing Chair and it’s really very short. I know I need to relax a bit more but I’m hoping that will come as I do a few interviews. Please bear with me and give it a try, I hope it’ll be a lot of fun! Huzzah! Well done! It’s great – you took a great idea and you made it happen. Well done! I love yoooo! And this is just perfect, a great intorduction to a fab line-up in the weeks ahead. You’re a star, Becca. Can’t wait to listen to them! You are doing an amazing job with this, Becca. I can relate to not having much confidence in myself either so I feel really proud of you for pushing yourself to do this. I hope that doesn’t sound patronising, I just mean you’re doing brilliantly, keep it up! Hooray! Wow! Well done Rebecca you are so motivated and out there. This is a great achievement.